GT Nexus notes in a recent report that the worldwide chemical industry is expected to double by 2035. American Chemistry supports this view, adding that the growth of the chemical industry is expected to outpace the growth of the U.S. economy as a whole. IndustryNet, has recently compiled statistical information analyzing the U.S. chemical industry in September 2017. This article will explore the findings of that compilation in both the industry as a whole, and in regional differences within the United States. IndustryNet is tracking 2,252 chemical manufacturers which employ 158,325 workers, bringing in nearly $850 billion in sales annually. Over the past year, job growth increased 1.5 percent in this sector. U.S. manufacturing as a whole exports only 29 percent of its products. But chemical companies export nearly half of their product - 49 percent - making chemical suppliers a more integral part of the global supply chain than other manufacturing sectors. Regionally, the South dominates the chemical industry, home to the largest number of companies, at 1,004, or 45 percent of the nation's chemical companies. Unsurprisingly, the South also employs the greatest number of individuals, at 91,883, or 58 percent of the nation's chemical industry employment. The South experienced the greatest national growth in chemical industrial employment, at 40 percent, and the greatest sales growth in the sector, at 54 percent. The Midwest and the Northeast are fairly similar, statistically speaking, with the Midwest maintaining a slight edge. It houses 577 chemical enterprises, comprising 26 percent of the nation's chemical companies. The Northeast contains 387 plants, or 17 percent. The Midwest also outranks the Northeast by number of chemical industry employees with 31,855 individuals, or 20 percent of the nation's chemical employment. The Northeast employs 23,082, or 15 percent. Chemical employment in the Midwest grew by 28 percent, while it increased by 19 percent in the Northeast. Finally, sales grew by 17 percent in the Midwest, but by only 13 percent in the Northeast. Bringing up the rear in all but one category, the West is home to just 283 chemical manufacturers, comprising 13 percent of the nation's chemical companies. Its employment is only 11,436 individuals, or 7 percent of the nation's chemical employees. Employment growth as also slowest in the West, at only 13 percent. However, the West's 17 percent increase in sales growth did outpace the Northeast. In terms of subcategories, pharmaceutical, custom blending chemicals, and industrial chemical companies saw the most growth over the year. 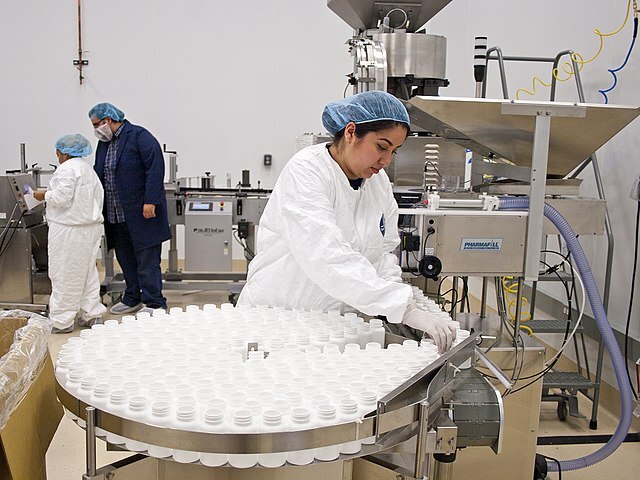 Pharmaceutical chemical suppliers experienced sales growth of nearly 5 percent and employment growth of 7 percent over the last year. Custom blending chemical manufacturers saw sales growth of 1.63 percent and employment growth of 6 percent. Industrial chemical companies grew at a slower pace of 0.09 percent in sales growth and 1 percent in employment growth. IndustryNet is your one stop shop for all of your industrial supply needs. To find chemical suppliers near you, start your free search on IndustryNet. Here, you can find suppliers of 10,000+ products and services in the chemical industry and beyond. Zero in on the right partner, message a company directly, connect on social media, and more, all in one place -- and all for free. Does your company provide chemical supplies or other types of industrial services? IndustryNet can help you stand out from the competition. Learn about our marketing solutions.